There is much more to this book than the title suggests. 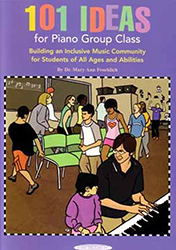 In fact, ideas for piano group classes comprise just slightly more than one-third of this volume. Also presented is information about learning theories, educational philosophies, music therapy and teaching special needs students. The book is organized into three sections. Part I, “Our Foundation,” lays the groundwork for an educational philosophy. This section discusses brain compatible education, principles of cooperative learning and the philosophies of Suzuki, Orff, Kodaly and Dalcroze. All material is presented clearly and efficiently, and is applicable to group piano teaching. Active elementary games and reproducible board games that teach music fundamentals, including the musical alphabet, basic symbols and terms, intervals, rhythms, great composers, instruments of the orchstra and more! 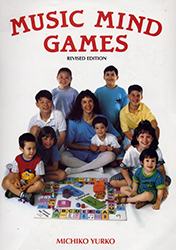 From quiet “Concentration” and “Bingo” type games to energetic “Round Robin” and “Presto” (quick reaction) games, this resource is flexible for a variety of ages, levels, learning types and class sizes. Copy and laminate to make games that will last for years! These 32 bright flashcards are color coded by string. 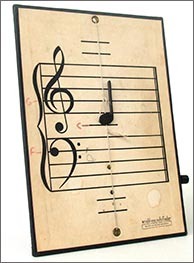 One side has a note and the reverse side has the noteCs name and an illustration of how to play that note in FIRST POSITION on the VIOLIN. Made by Notes & Strings since 1986. 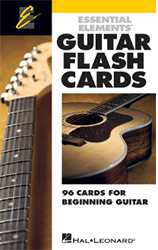 Hal Leonard’s top-selling comprehensive method for band and strings is also available for guitar! These handy 5? x 8? 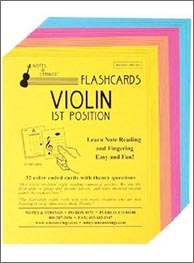 flash cards help students learn material taught in the method book. Concepts covered include: music symbols, musical terms, notes on each string, keys and scales, guitar chords and more! 120 color-coded cards to review basic musical symbols, all notes from low ledger C to high ledger C, and rhythm patterns in 4/4 and 3/4. Perfect as a supplement for all piano methods. 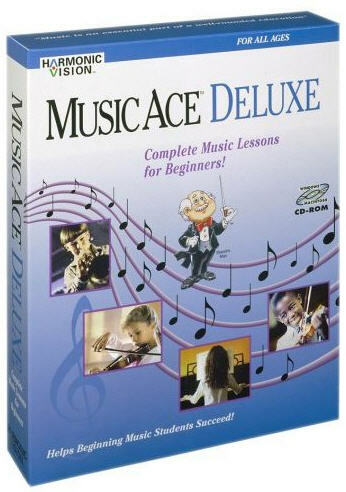 Music Ace Deluxe™ combines 36 of the highly-engaging music lessons from the award-winning Music Ace and Music Ace 2 products into a single, carefully sequenced product. Designed by music education professionals, Music Ace Deluxe is a comprehensive series of music lessons and games that teach beginning music students of all ages the basics of music theory, rhythm, pitch, note reading, listening, and the keyboard. No previous musical experience or instrument is required. Under the guidance of animated tutor Maestro Max, students are led through a carefully sequenced series of music lessons. 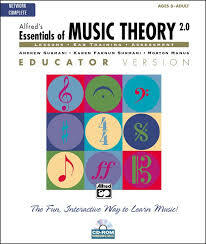 The Essentials of Music Theory CD-ROM from Alfred is an award-winning software for the most complete music theory course ever, now updated to Version 2.0! 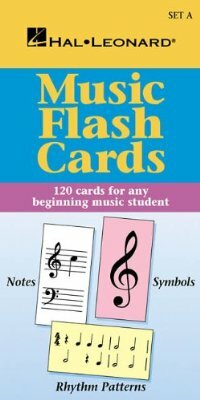 This all-in-one series contains concise music lessons with short exercises, ear training activities, and reviews, as well as narration, animated examples, and clickable elements for aural reinforcement to help students learn music theory. The teaching tool come with randomized exercises and review answers. A glossary of all terms and symbols with definitions, pronunciations, and visual and aural examples is also included. The Educator version allows the recording of unlimited numbers of student records and includes a custom test generator which also allows the music teacher to add their own questions and exercises. 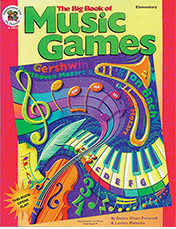 Essentials of Music Theory was the winner of the Children’s Software Revue All-Star Award. Also available in optional Student and Book/CD formats. PC/Mac. 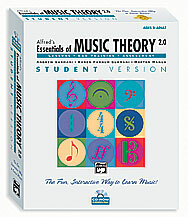 Alfred’s Essentials of Music Theory Software Complete covers all of the material in the Student Book Complete (Volumes 1-3, item 00-17234) and includes narration of new concepts, animation, exercises, games and ear-training with recordings of a variety of acoustic instruments to motivate students while strengthening musical skills. The program includes randomized exercises, ear-training and graded reviews for each unit. A complete glossary of terms and symbols with definitions, pronunciations and visual/aural examples is also included. The educator version of the software allows optional study of Alto and Tenor clefs and printing of individual scores. It is MIDI compatible on selected screens and allows for the unlimited creation of student records.